Over the past couple weeks we've been working on integrations with other systems. 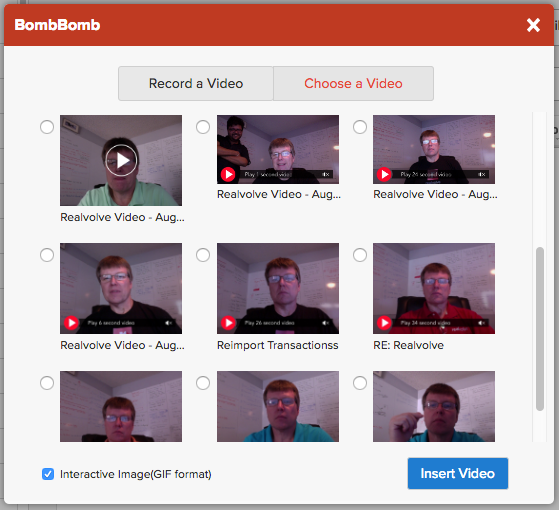 I'm happy to announce that we've completed the BombBomb video integration and it's available for you to use today in our real estate crm! When setting up a template or composing a new email from scratch, you can click on the new BombBomb icon on the toolbar to open up the BombBomb integration window. 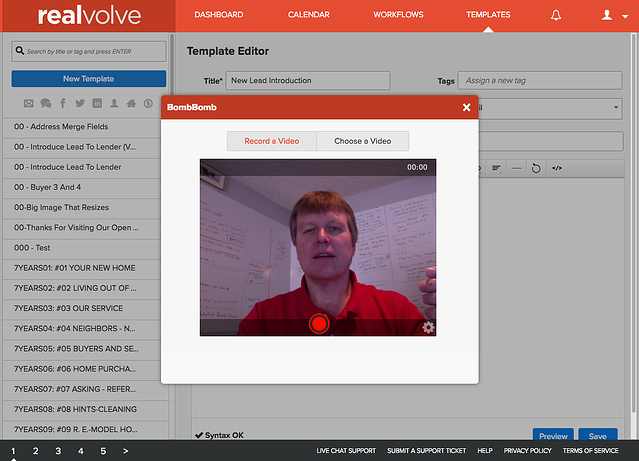 From this window, you can record a new video to your contacts and save it to your BombBomb account and have it automatically inserted into Realvolve. No more Cut/Paste... No need to exit one program and load another... It's all in one place. At the top of the window you can choose between "Record a Video" or quickly select from the BombBomb video library by selecting "Choose a Video". You have the option to insert an Animated GIF (default) or still picture for the video place holder in the email. Once you select a video, simply insert it into the email or template editor with one click of a button... HOW EASY IS THAT! 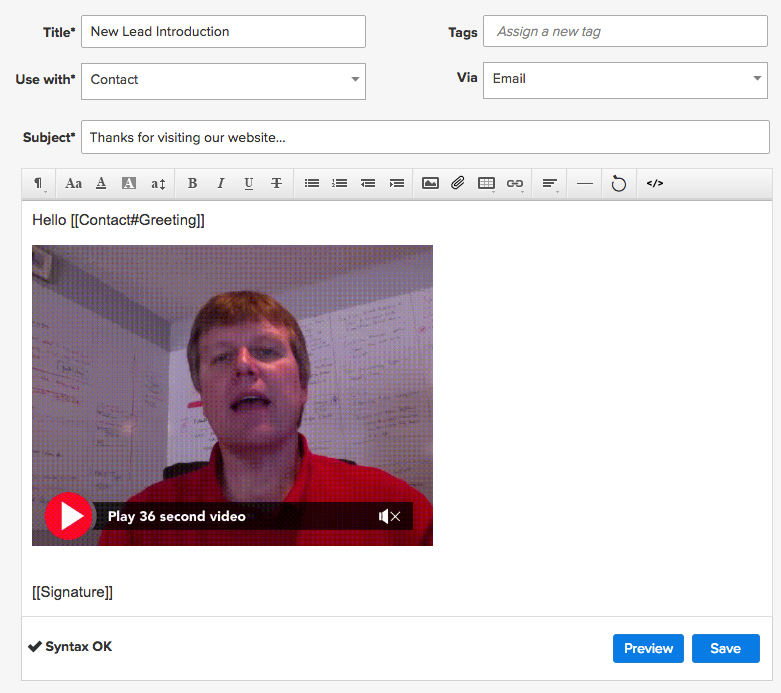 Sending videos in your emails is now easier than ever. Keep an eye open for more integration features with BombBomb in the future - we are only skimming the surface!